Blue Cloud Tech offers a premier Private Automatic Branch Exchange system for private enterprises to simplify intra-communication. Blue Cloud Tech’s PABX System gives you the functionality you need without the confusion. It’s a simple, scalable and productive phone system and improves your performance. Blue Cloud offers a platform which includes a premier Private Automatic Branch Exchange system for private enterprises to simplify their communication needs. Blue Cloud’s PABX System gives you the functionality you need without the confusion and without the need to call an engineer. It’s a simple, scalable and productive phone system, and it will dramatically improve your performance. The BlueCloud Private Automatic Branch Exchange includes everything you would expect from a modern cloud based PABX, and comes with a bundle of advantages and features which are specifically designed to increase your productivity. A Private Automatic Branch Exchange (PABX) is a technology that’s often used for transferring calls within the organisation. Throgh automation, built in algorithms and a simple configuration dashboard, the face of a private branch exchange has changed for the better. Our cloud PBX system makes use of the unique scalability, flexibility and simplicity such solutions offer, removing the need for any local telephony hardware. This means that all of the data is stored and transferred online, and is also instantly backed up across multiple servers. A cloud PBX in short removes the need for a server and other expensive hardware at your office. Using out cloud PABX, your company can use practically any VOIP phone without making any additional capital expenditures. It works by connecting the phones/software to our cloud infrastructure, where all the telephony requirements are managed and where all the data is securely saved. We offer the abilty to record any call and also offer routing to any worldwide location at amazing low rates. To actively use our cloud-based Private Automatic Branch Exchange, all you need is either a soft phone on your computer, a VoIP (Voice Over Internet Protocol) phone or any other IP phones/adapters. With setup taking only a few hours, Blue Cloud Tech’s PABX comes with unlimited extensions and gives users instant access the functionality and security they need. The system lets you do everything that you do with a regular phone system, and a lot more. You can use it from any corner of the world without needing any additional hardware. The system lets you save time and money by completing installation and maintenance quickly. Furthermore, your entire company is connected on a powerful single platform globally. You can customise this system and setup easily to suit your requirements. All without a single engineer. The PBAX by Blue Cloud gives you all the features you need for your business. Besides, companies don’t need to be worried about installation and frequent maintenance since it’s not a hardware device and there are no servers involved. Moreover, the system gives the entire organisation access without any geographical boundaries. If you have a cohesive workplace in mind, then Blue Cloud’s Private Automatic Branch Exchange is all you need. The system is reliable, relevant and gives you in-depth reports on the fly, while managing your Sales Organisations/Call Center/Business. In fact, if you are looking for a PABX or PBX, Blue Cloud has left no stone unturned to design an advanced, scalable system that helps your organisation manage the switch easily and painlessly. A PABX takes care of office calls and call transfers in the high stress environments of Sales Organisations, Call Centres and other businesses quite easily. Moreover, a PABX system comes with a plethora of useful features like call forwarding, alarms, reminders, etc.. Campaign managers and sales personnel can easily customise the system to suit their campaign and operational requirements. 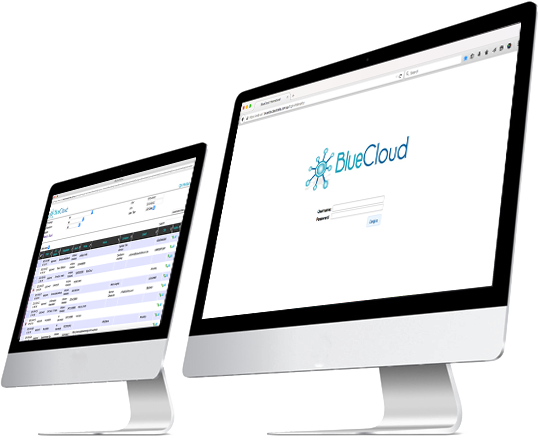 Blue Cloud offers a premium Private Automatic Branch Exchange system that simplifies all your telephony needs. No hardware required and can be set up in a few hours.